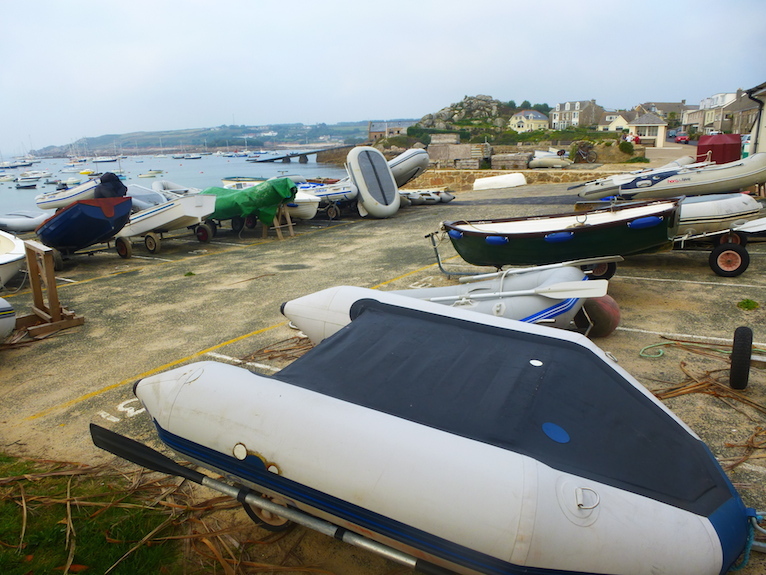 The Council of the Isles of Scilly is responsible for the running and maintenance of the small boat park on the Strand in Hugh Town. The boat park consists of 51 spaces for small boats and trailers. The Rechabite Boat Park is a facility designed to complement the day to day use of the harbour and boating within the islands. As such the park is not intended to provide long term storage for boats, rather it is intended for those who are permanently resident on St Mary's and who have a small sailing craft or punt which they can use and maintain on a regular basis. Download our Rechabite Boat Park Letting Policy for more information. Due to high demand, there is a waiting list for spaces. If you would like to apply to join the waiting list, please download our Rechabite Boat Park application form and return it to the Infrastructure team at the Town Hall. If you have any questions, please don't hesitate to contact us at the details below.